Come relax and play among the southern mountains of Colorado. This 3 bedroom/2 bath cabin sleeps up to seven people and offers a great home base for your vacation plans. 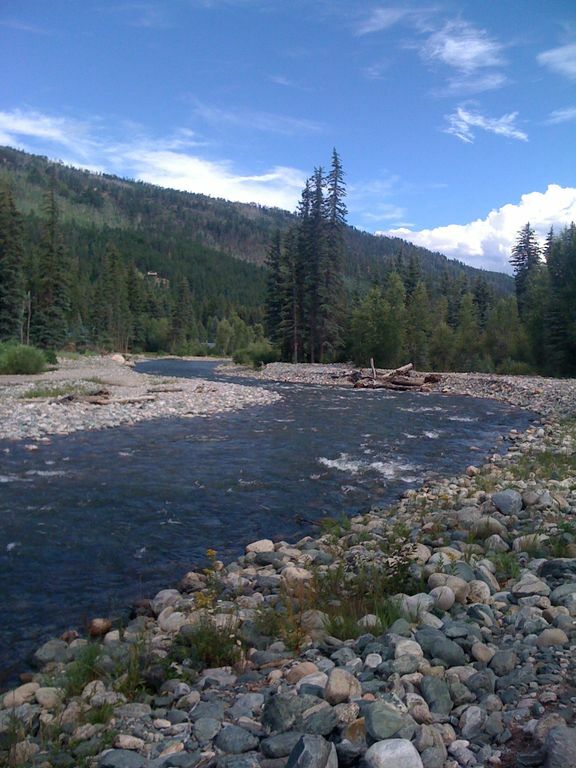 Enjoy the sound of nature from our deck or explore the nearby hiking trails, horseback riding, fishing and boating, or go into Durango for shopping, white water rafting, zip-lining or swimming. Maybe take a day trip to the Durango Mountain Resort, ride on the Durango-Silverton Narrow Gauge Railroad, see the ruins at Mesa Verde National Park, or relax in the steamy pools at Pagosa Springs. With so many options, you are sure to please every family member. In winter months, cross country ski throughout the neighborhood and trails around Lake Vallecito. For alpine skiing, our cabin is less than an hour to Durango Mountain Resort and 1.5 hours to Wolf Creek Ski Area. We are a multi-generational family from Texas who has owned the neighboring property for over 15 years. During the summer months, there is almost always a family member on site. The location cannot be beat for getting away from it all yet having access to it ALL! Great cabin! It was very clean and in a great location! We absolutely loved our stay here! The cabin was beautiful and very clean, and the neighborhood is wonderful! The creek going through the property and the beautiful mountain background is postcard worthy! My husband and I, along with our 4 children and my parents, stayed in the cabin and were all very comfortable. We spent most of our days at the ski slopes at Purgatory, which is a reasonable drive away. The property is conveniently located almost equal distances from Pagosa Springs and Durango, making it easily possible to ski at both Wolf Creek ski area and Purgatory. Although our stay was at Christmas time and we didn’t get to enjoy the creek, I can imagine this would be a fantastic place to visit during the summer months. The water access is secluded and would make a great hangout spot with the family, and the lake is only a short drive away. Our family would definitely consider visiting again in the summer! The owners are very friendly and accommodating! Thank you for a very memorable Christmas vacation experience! We enjoyed our time at the cabin immensely! The cabin was located in a beautiful area, comfortable and perfect for our little group. The owners Tom & Joan were very accommodating and easy to work with. We would definitely go back! Enjoyed the large outdoor deck. I have nothing bad to say about this place. It was more than we had expected. The family owns the place next door, they were very friendly and informative, giving us our space but letting us know they were there if we needed anything. The beds were comfortable and the cabin was very clean. Hope to stay again in the future! Its was very nice , loved the cabin!